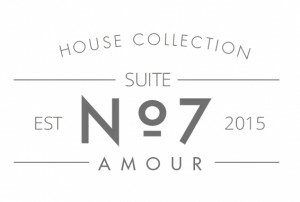 ABOUT: The Amour collection is a deluxe suite made from luxury materials and the finest quality paperstocks – perfect for the couple wanting to add a touch of stylish elegance to their stationery. 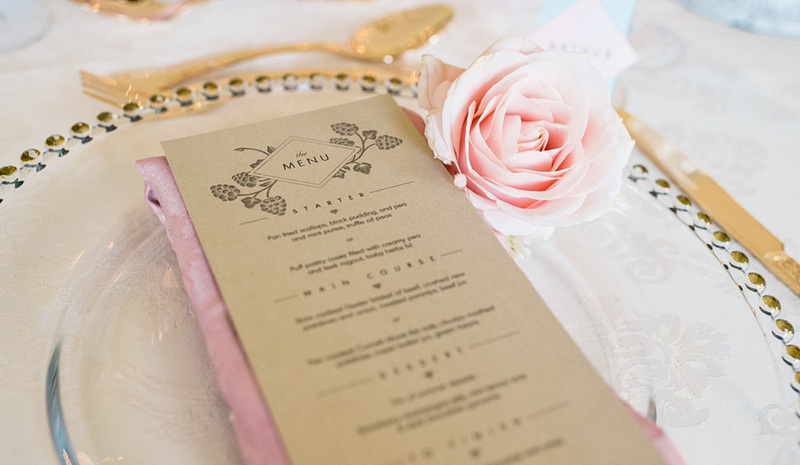 The design of each item is created with contemporary fonts and clean lines alongside delicate floral illustrations. The simplicity of the design perfectly complements the opulent materials used, creating a luxurious tactile suite that you’ll be thrilled to send to your guests. 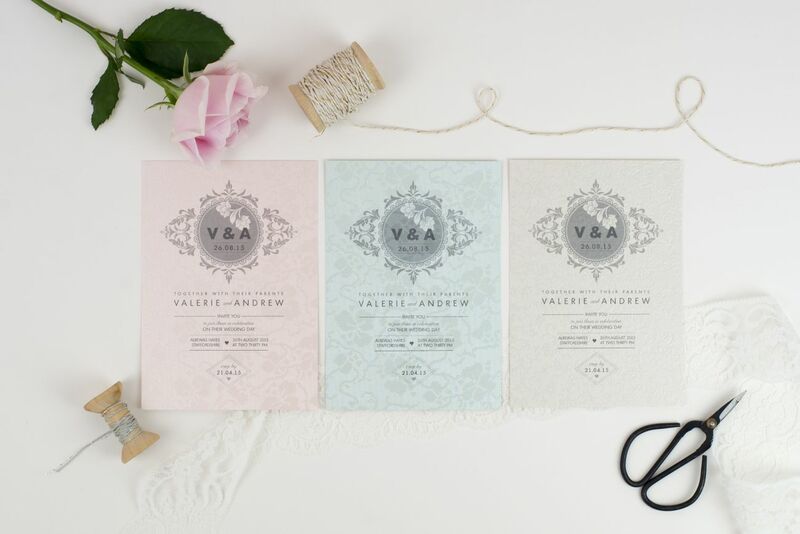 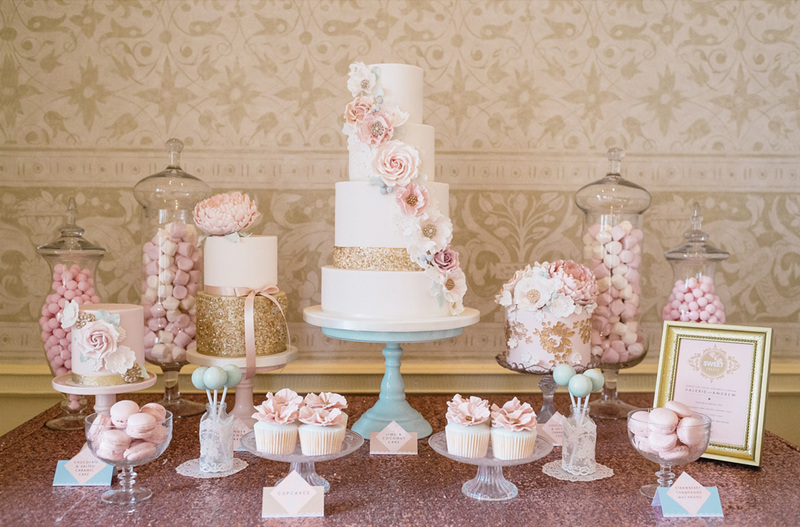 The main wedding invitation is printed on either a soft powder-mint, blush-pink or cotton-ivory textured 300gsm paperstock that features a beautiful subtle shimmery floral pattern. 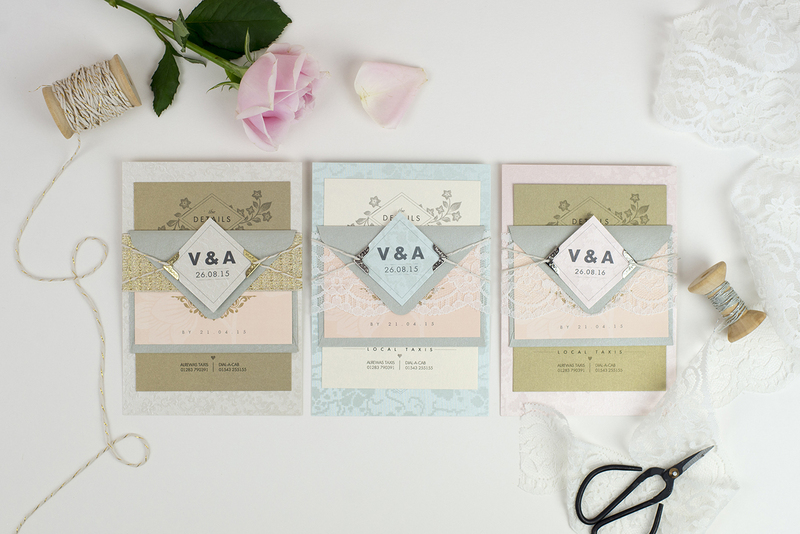 (Alternatively, for those with lower budget you can opt for the the same colours to be printed onto a plain 300gsm paperstock). 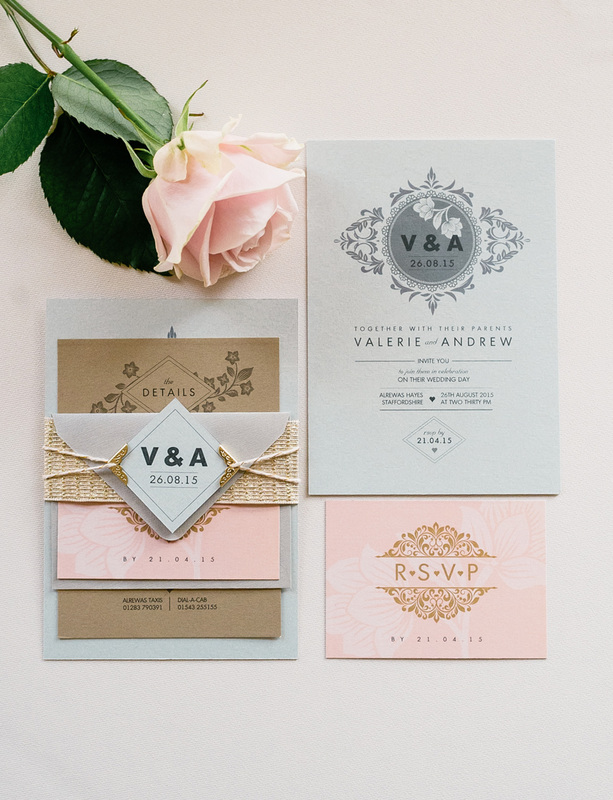 A diamond shaped monogram tag comes in both paper options and can also include the charming gold or silver corner clips shown in the images above. 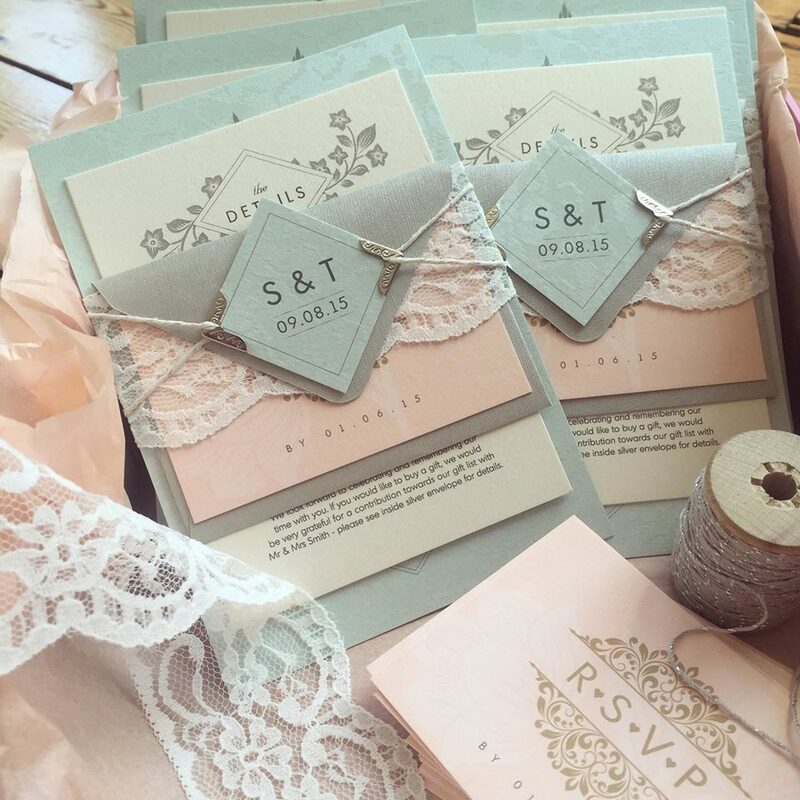 The tag combined with a metallic twine and a gorgeous thick gold glittery ribbon or lace band then binds the items together. 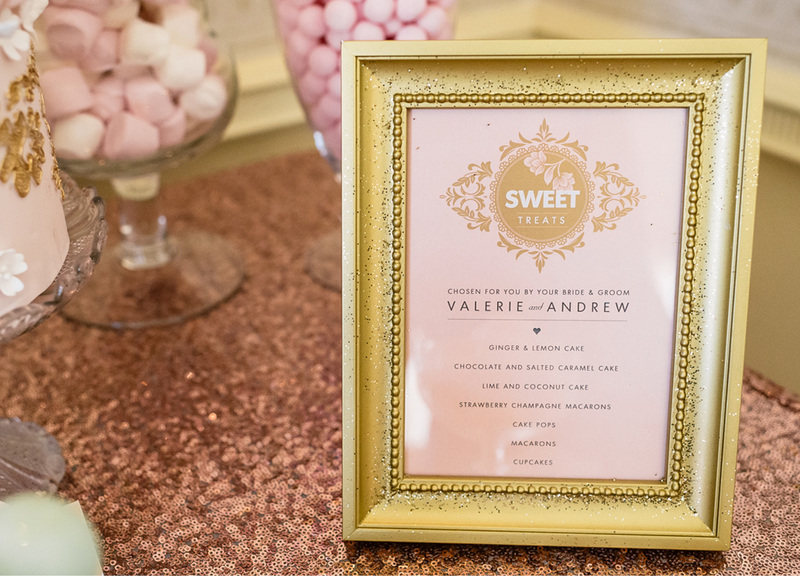 To provide your guests with further information you’ll need a details insert – this is printed on either a luxury gold or white gold (cream) shimmery 300gsm paperstock. 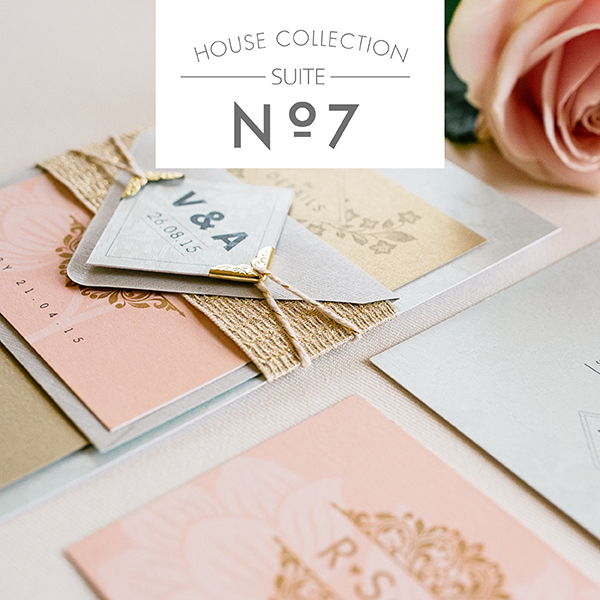 Also available within the suite is a RSVP card in a soft blush colour with gold text. 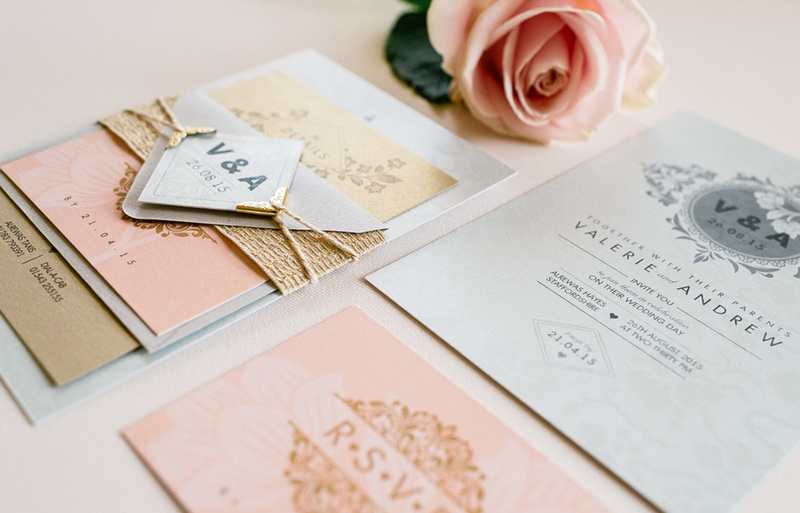 This comes with a silver brocade textured RSVP envelope for your guests to return it to you.